Company Overview - Nanjing Skypro Rubber & Plastic Co.,Ltd. 11YRSNanjing Skypro Rubber & Plastic Co.,Ltd. 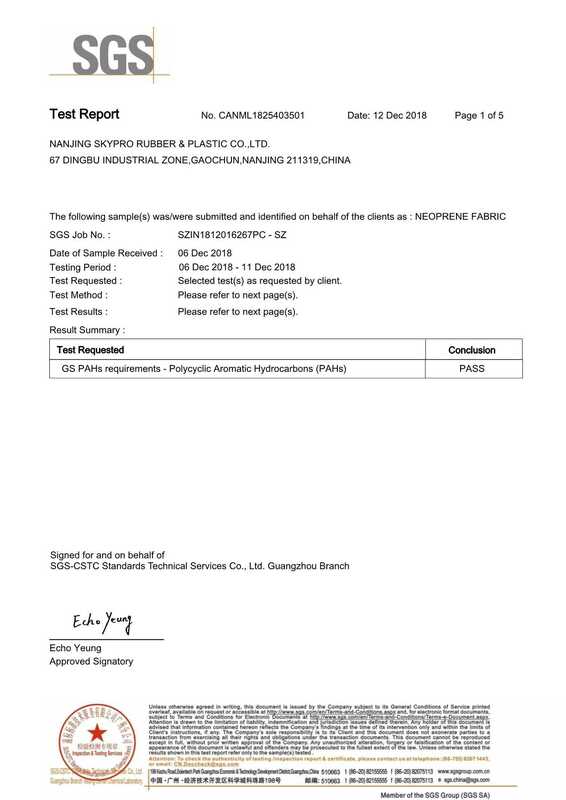 Nanjing Skypro Rubber & Plastic Co.,ltd is founded in 1999, situated in Nanjing, Capital of Jiangsu Province, Eastern China with 300Km far from Shanghai, the largest city and port of China.Our mains products have two big divisions: rubber products(SBR,NR,CR,NBR,EPDM,latex,silicone and viton etc.) and plastic products(PVC,PU,FRP,EVA etc. )Besides our rubber products, light-weight conveyor belt is another major division of our company which is different from normal mine applicated heavy duty belts.We are equipped by advanced manufacturing machine, supported by professional technicians and after-sale services staffs, cooperated by experienced logistic company providing quickest and safest delivery in ocean, air and trucking way. The final aims for our company are perfect products, the best quality-price ratio and full score of comments from our honored clients.Our conveyor / transfer belt are mainly used indoor for processing lines of tobacco, logistics, wood, stone, electronics and food industries. We are able to survey, design, install and maintain custom made conveyor and transfer belt for special applications.All clients both overseas and domestic are welcome to visit our company for better understanding and long-term partnership.You will be right to choose us as your permanent supplier.